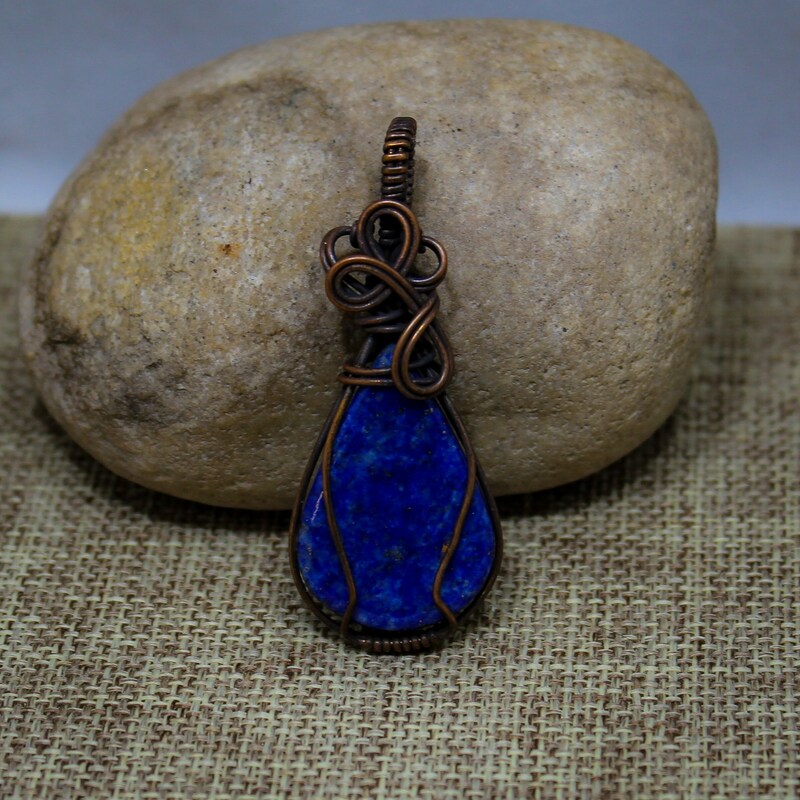 This handmade copper wrapped lapis lazuli pendant has is perfect for anyone! 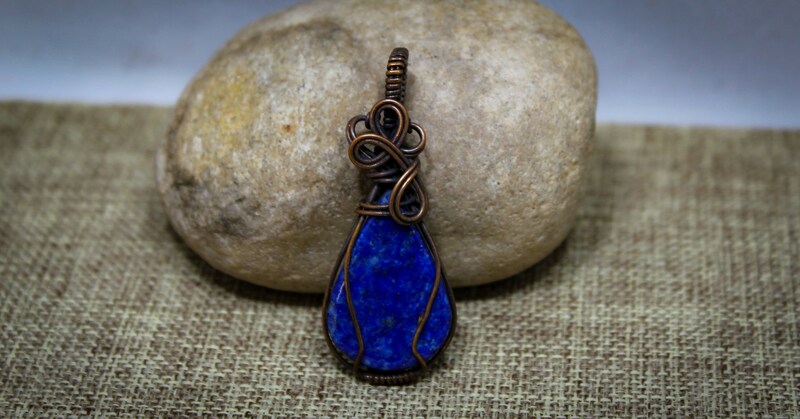 The copper has been oxidized to give it an antique patina. It's compact size makes it perfect even for children! If you are looking for a unique gift, you have found it!